Hello friends! I am so excited to be a part of Makeover Madness blog hop! Velvet Finishes creator, Kellie Smith, was so sweet to sponsor this blog hop and provided us with her awesome Velvet Finishes paint. This was just the kick in the buns I needed to get going on my kitchen makeover. I have been planning to paint my kitchen cabinets and island for months. No really, MONTHS. But I just haven't gotten around to doing it. 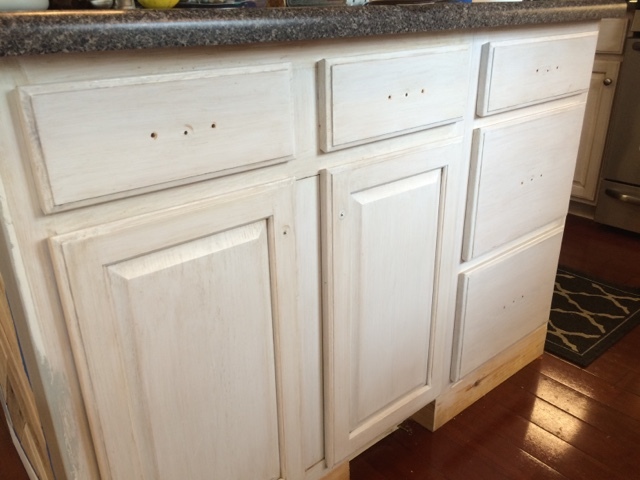 I have painted my kitchen cabinets before so I know the drill, it is not very fun. In fact it is not fun at all. That's why I've been putting it off. Procrastination is my friend. Anyway... I know I can pay someone to do this job for me but, in true Chic on a Shoestring fashion, I am just too darn cheap to pay someone else to do it. However, I was really excited to use Velvet Finishes because there is no prep work involved. That means no sanding mess and extra time before I can start painting. I chose the color Opulent as it is a really nice light gray tone. All I did to get started was remove the hardware on my island and then I sprayed on the Velvet Finishes Ready spray and wiped it off. Easy peasy. Here is the island after I sprayed it with Ready. You can see where we added some trim to the bottom that has never been painted. It's been like that for months. Pretty fancy, I know. I shook the paint well and started to paint with some brushes I already had. 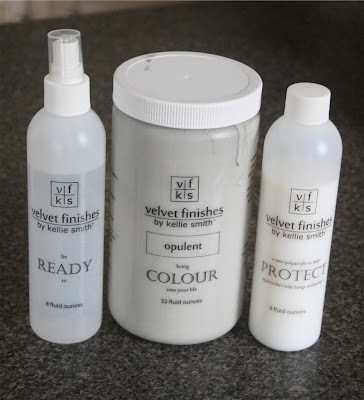 No fancy brushes are needed for Velvet Finishes! The paint went on easily and I found the paint to go a really long way. I did two coats to give a nice even coverage and that is what it calls for. I was going over a lighter color so it was no problem. I used a brush to paint my island which is a huge no-no on cabinets but the brush marks literally went away! I don't know how but the Velvet Finishes website says you don't have to worry about brush marks, it's true! To finish I used the Protect. It goes on easy and quickly. It leaves a very slight sheen and protects the paint and makes it easier to clean. Soon I'll be painting the rest of the cabinets white, adding a backsplash, farmhouse sink and new countertops. I can't wait! I will share it all here so stay tuned this summer. In the meantime, please check out all the awesome other makeovers on our Makeover Madness blog hop. The lovely Seeking Lavendar Lane is next! And here is a link to everyone else! *Again, this post was sponsored by Velvet Finishes Paint, all opinions are 100% mine. See my disclosure policy in the above menu bar for further details. 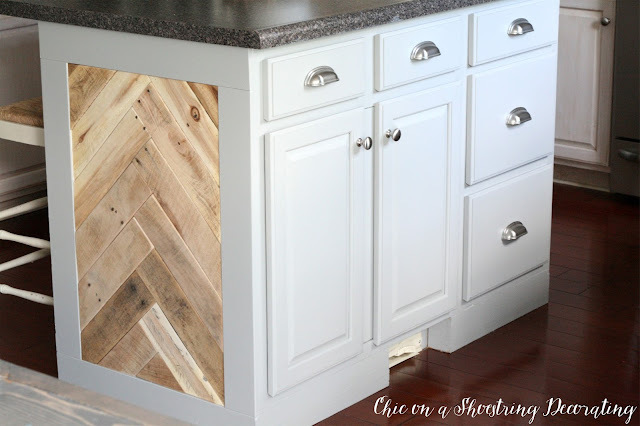 Love that you painted your kitchen island! 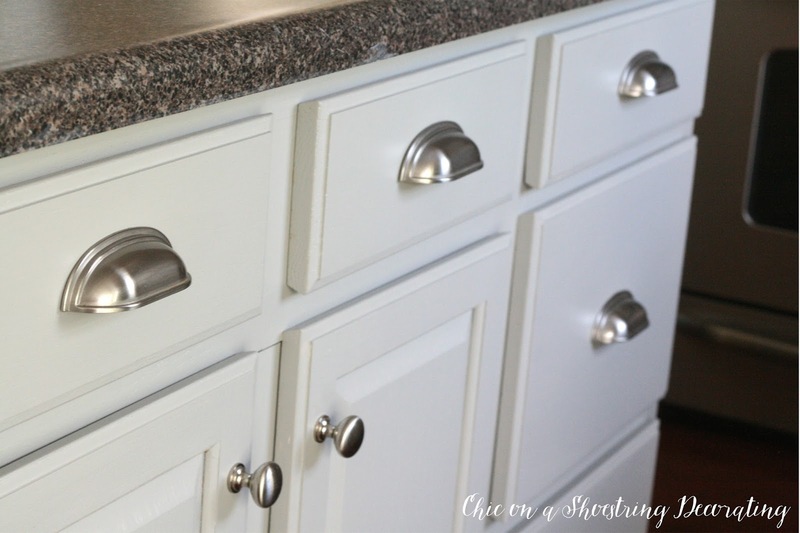 The hardware, paint color and wood look great together! Thank you for the sweet comment, Meg! 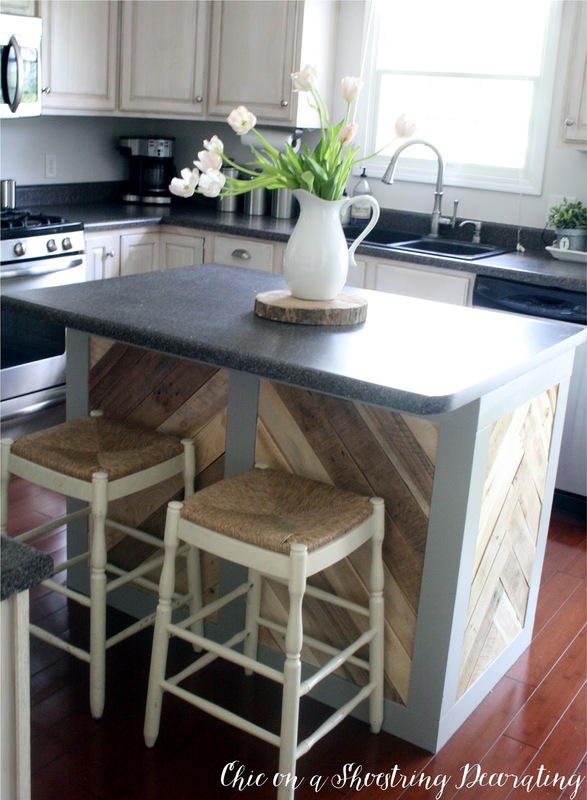 Kate your kitchen island is just amazing. Between the paint and the reclaimed wood detail, you have a stunning accent in your kitchen. Awesome job. 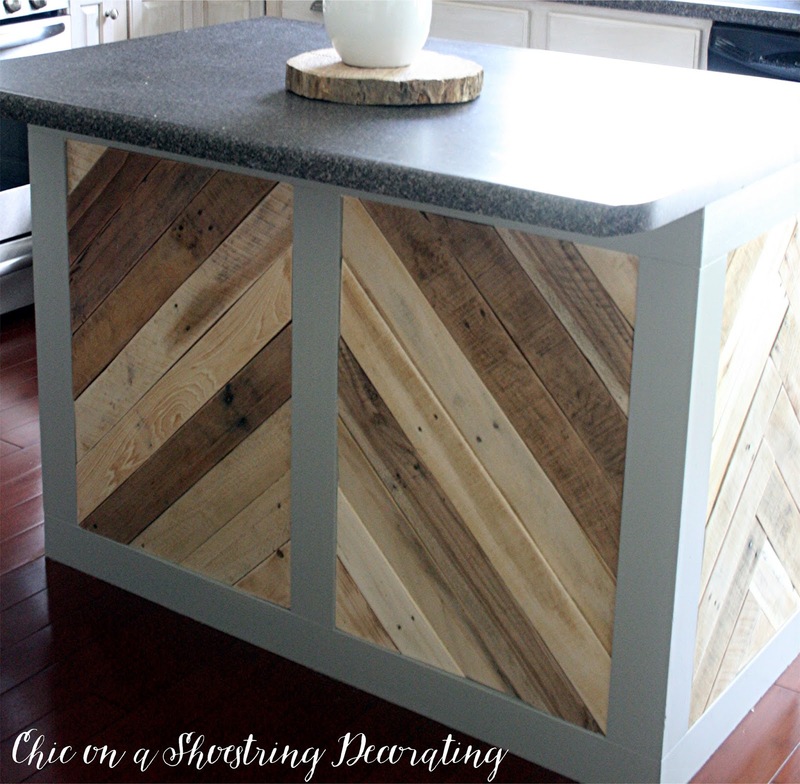 I LOVE that you painted your kitchen island, it looks amazing!! Such a great color choice! !